Linde completed his articles at Rooth & Wessels in Pretoria and thereafter became an attorney at the firm, Bekker, Brink & Brink in Ermelo. 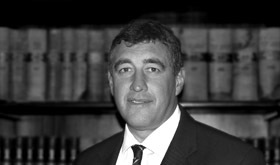 He was also a legal advisor for Boland Bank in the Paarl, and has been an active member of the Johannesburg Bar Council for the past 16 years. He has also been the Group Manager for the past 11 years for the erstwhile West Wing Group and continues his duties as such, subsequent to amalgamation with Group 2, which is currently Maisels Group.